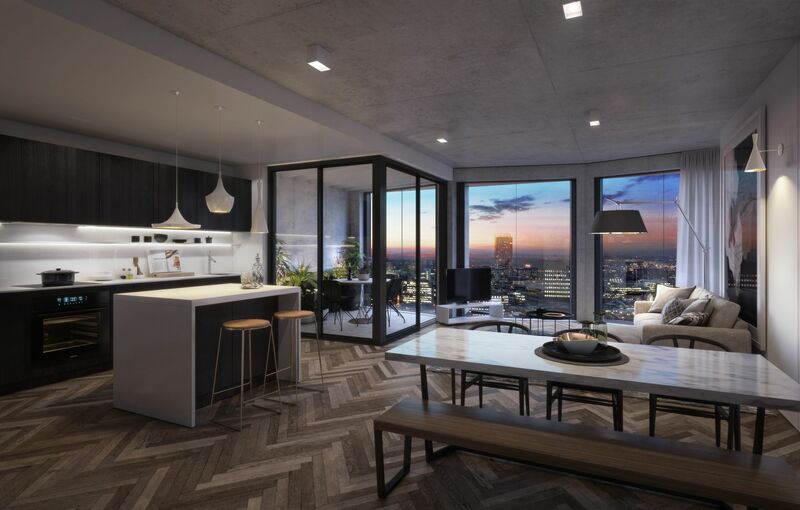 St George’s Gardens is the latest in modern city living. 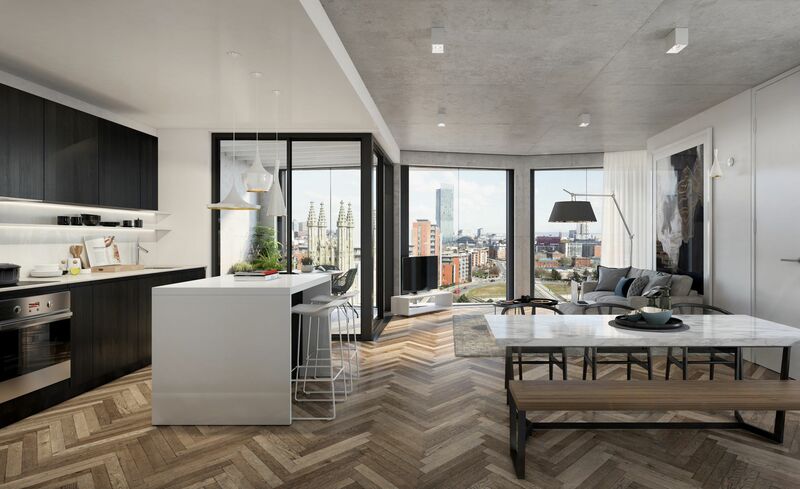 Located in the exciting new Manchester Gardens development on the doorstep of Manchester city centre, St George’s Gardens offers the perfect city retreat for young professionals and families alike. Only a stone’s throw away are excellent public transport links that will whisk you into the city for a night out on the town, or jet you off to somewhere further afield; the beautiful Peak District is only a short journey away and Manchester Airport flies to over 200 destinations worldwide. 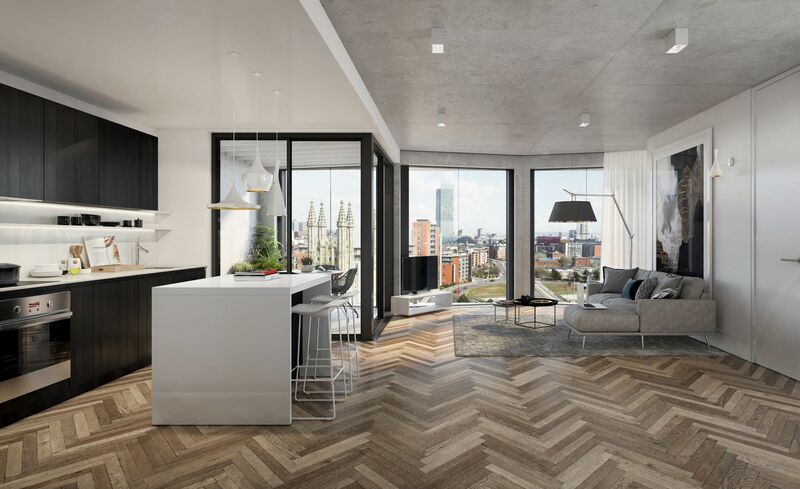 With views over the Grade II listed St George’s church, from which the development derives its name, you are afforded the choice of 40 two-bedroomed and 20 one-bedroomed apartments. 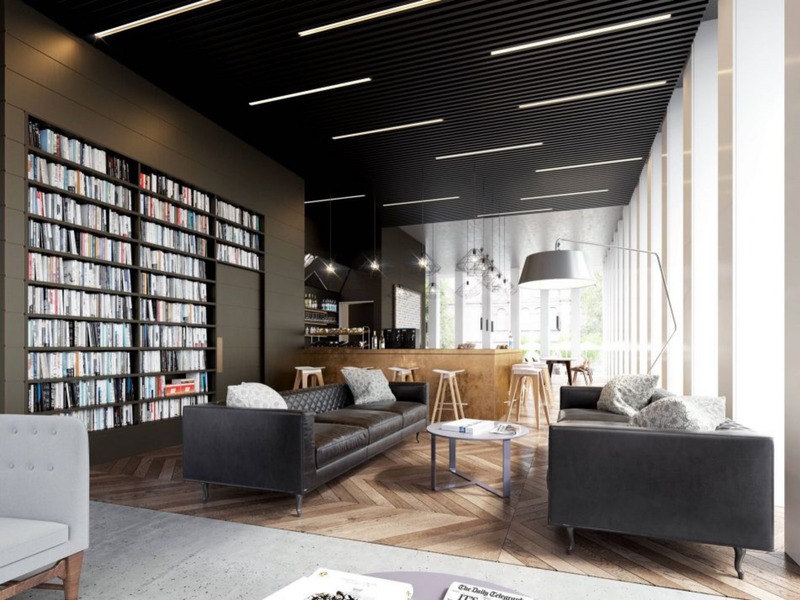 Inside, large windows allow light to stream in creating a bright and airy feel. Clean, modern lines and a soft colour palette give a effortless contemporary look. 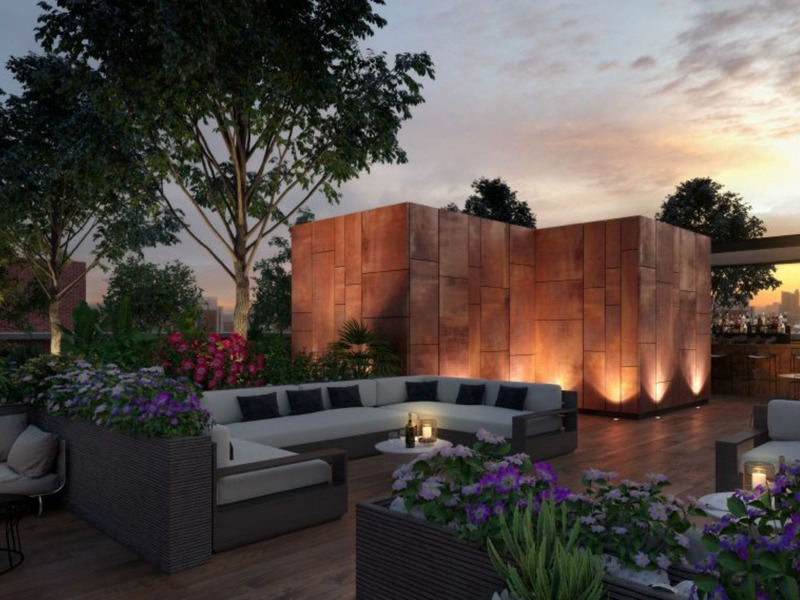 Each apartment comes with its own private terrace so that you can combine a chic city lifestyle with outdoor living. 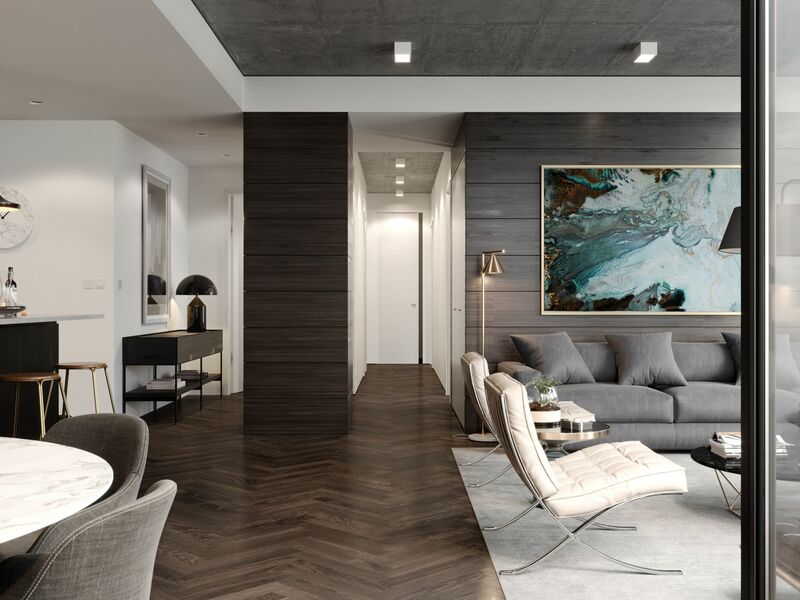 There are a number of different layouts of apartment to choose from that will ensure you have a home to suit your exact needs. 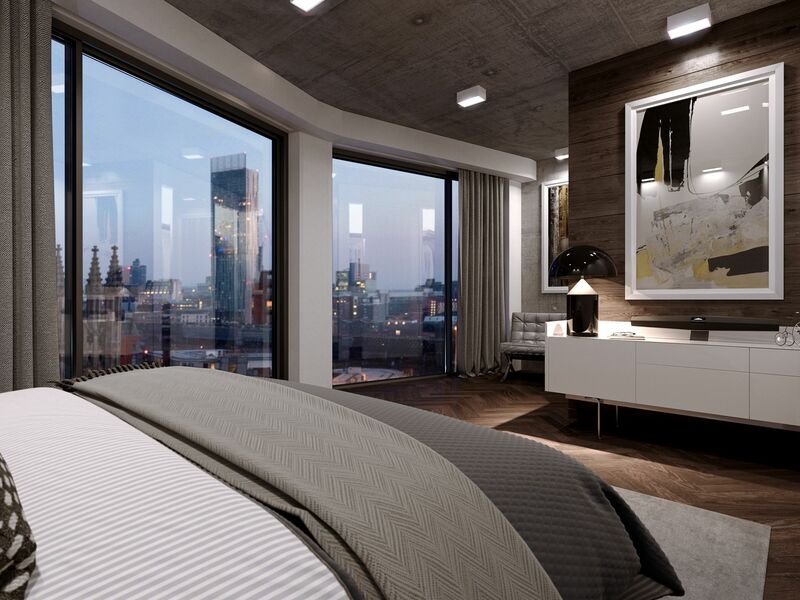 The interiors have been carefully designed by architects, Ollier Smurthwaite, to the highest standards. 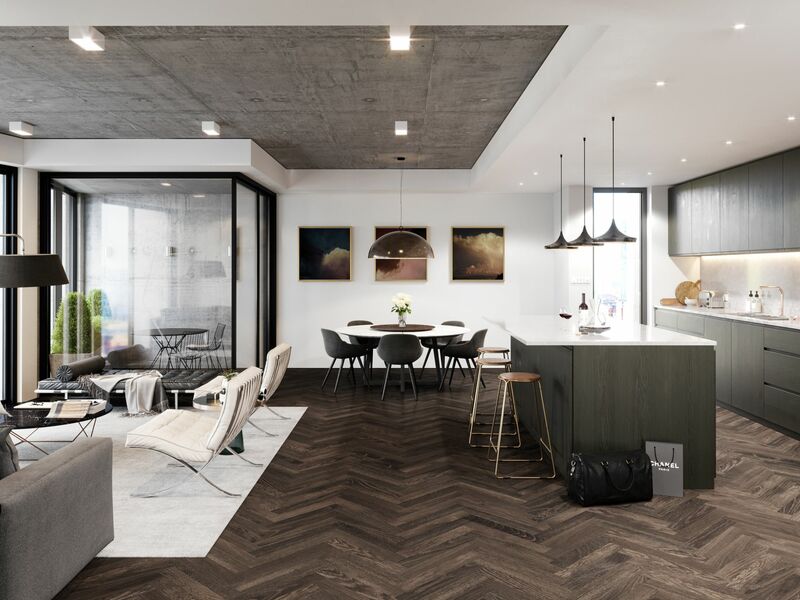 The kitchen features integrated modern appliances that blend seamlessly into the sleek units, stainless steel taps finish the room, bringing everything together in harmony. Enjoy the highest quality white porcelain bathroom suites and underfloor heating for that little bit of extra luxury.